Ninja Sphere Gadget learns about users and the environment in which it is located, using a multitude of data coming from different sensors. 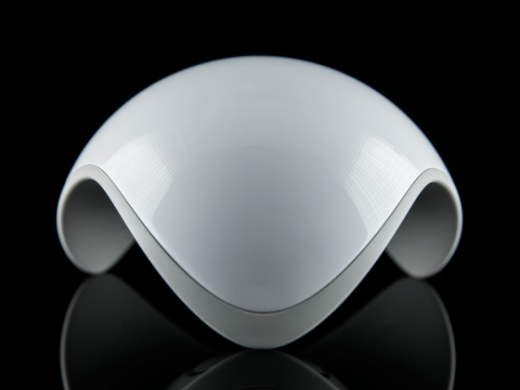 Moreover, Ninja Sphere Gadget monitors the temperature, lighting, energy consumption, the presence of a user or pets – or anything else that is connected with it. It is a gadget that allows a whole new level of home automation, and more. If anyone remembers Ninja Blocks intelligent sensors, Ninja Sphere Gadget authors call this the new generation of systems. The system consists primarily of Spheramid sculptures in which there is a bunch of electronics, and depending on the size of the house in which the system is placed, it is possible to use many of them so then, they make a special network. You can even map the complete living space so that the devices all time know where things are and where is necessary, for example to turn on the lights, etc. Besides the control with gadgets like smart wristwatch or a smartphone, users can manage a system, and gestures above Spheramida. So it is possible to see how much energy is consumed, light heating, sound system and much more. It is particularly noteworthy and the safety aspect of all, after you put on pets and valuable objects a special tag, which is a Ninja Sphere Gadget able to follow.